Ce document au format PDF 1.3 a été généré par XPP / , et a été envoyé sur fichier-pdf.fr le 31/12/2013 à 11:02, depuis l'adresse IP 89.224.x.x. La présente page de téléchargement du fichier a été vue 702 fois. Taille du document: 88 Ko (6 pages). is no policy of mandatory helmet use for recreational alpine skiers and snowboarders. among skiers and snowboarders while correcting for other potential risk factors. injury by comparing skiers with head injuries with uninjured controls, as well as to skiers with injuries other than head injuries. physician or for hospital treatment, the adjusted OR was 0.43 (95% CI, 0.25-0.77). 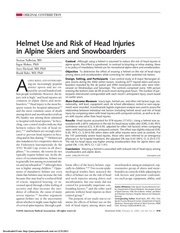 The risk for head injury was higher among snowboarders than for alpine skiers (adjusted OR, 1.53; 95% CI, 1.22-1.91). of helmet wear on the risk of neck injuries. equipment (yes/no), and skiing ability. school attendance, rented or own equipment, and skiing ability). type, and skiing ability were also recorded in this group. 2–factor cross-product terms, as well. 2-tailed. All statistical analyses were performed using SPSS for Windows, version 11.5 (SSPS, Chicago, Ill). helmet use, thus representing potential confounding factors for the relationship between head injuries and helmet use. significant (P ranging from .12-.46). *Percentages may not sum to 100 due to rounding. or hospital for further assessment. ‡P values are shown for Fisher exact test between the head injured and control groups, excluding missing as category. §Skiing ability based on self-reported performance of turns. *Denominators may vary due to missing responses. of head, neck, or face injury combined. showed that the protective effect of helmet use is consistent across groups. more cautious skiers and snowboarders are more likely to be. evidence regarding the relationship between neck injuries and helmet use. *Each risk factor was adjusted for with all of the other risk factors listed in the table. †Users with other equipment are excluded because there were no head injuries in these groups. This would also be the case if helmeted skiers who sustained a head injury were less likely to report their injury than those not wearing a helmet. We have not assessed the number of injured skiers and snowboarders that bypass the ski patrol for their injuries. respect to helmet status was unlikely. within a few minutes after the injury. ski instruction, most other factors (including helmet status) could be observed directly by the ski patrol. responsibility for the integrity of the data and the accuracy of the data analysis. Study concept and design: Sulheim, Ekeland, Bahr. 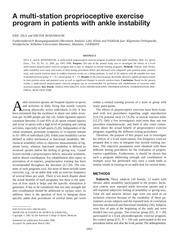 Acquisition of data: Sulheim, Ekeland, Bahr. Drafting of the manuscript: Sulheim, Holme, Bahr. Critical revision of the manuscript for important intellectual content: Sulheim, Holme, Ekeland, Bahr. Statistical analysis: Sulheim, Holme, Bahr. Culture, the Norwegian Olympic Committee &amp; Confederation of Sport, Norsk Tipping AS, and Pfizer AS. to 1997. J Trauma. 1999;46:1066-1069. 4. Dohjima T, Sumi Y, Ohno T, Sumi H, Shimizu K.
tenegger A, Ruedi T. Severe skiing injuries: a retrospective analysis of 361 patients including mechanism of trauma, severity of injury, and mortality. 6. Prall JA, Winston KR, Brennan R. Severe snowboarding injuries. Injury. 1995;26:539-542. 7. Chow TK, Corbett SW, Farstad DJ. Spectrum of injuries from snowboarding. J Trauma. 1996;41:321-325.
nervous system and spine in downhill skiing. Can J Surg. 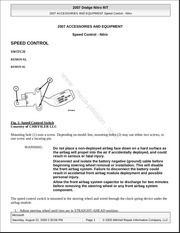 Morb Mortal Wkly Rep. 1995;44(RR-1):1-18. 13. American Medical Association. In-line Skating. Chicago, Ill: American Medical Association Council on Scientific Affairs; 1999. Report 19. 14. Torjussen J, Bahr R. Injuries among elite snowboarders (FIS Snowboard World Cup). Br J Sports Med. in 2001. J Trauma. 2003;55:939-945. 16. Macnab AJ, Smith T, Gagnon FA, Macnab M.
resorts. In: Johnson RJ, Lamont MK, Shealy JE, eds. 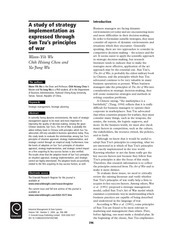 American Society for Testing and Materials; 2003:97104. ASTM STP 1440.
and snowboarders. Semin Neurol. 2000;20:233-245.
and adults. J Bone Joint Surg Am. 1998;80:25-32.
skiers. Am J Sports Med. 1993;21:201-205. ASTM STP 1104. West Consohocker, Pa: American Society for Testing and Materials; 1991: 164-169.
instructional ski-video: a prospective randomised intervention study. Knee Surg Sports Traumatol Arthrosc. and thus live more fully. Ce fichier a été mis en ligne par un utilisateur du site. Identifiant unique du document: 00213384.